Perhaps a bit of an explanation is in order as to what the iPhone fuss is about. You see, here at Understanding Cocktails we believe that the dizzying array of drinking choices out there hasn’t served the great many of any favors. It’s taken us years of hard drinking research (and a few scholarly book dives) to learn when is a good time serve a Manhattan or why ordering Lemon Drop, at our favorite bar, is a waste of money, and why the enjoyment of an old fashioned has as much to do with the type of mood your friends as the quality of the bourbon/rye. 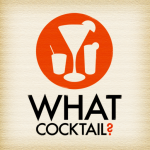 Originally, this site was going be try and show how to experience cocktails. Sure we’d tell you how the drinks were made but we wanted to give some of the personality. By limiting ourselves to just 10 drinks, we thought we could explain a taste continuum of classic drinks. It got all very wordy. And then along came the iPhone. And we had an idea. What if we just gave recommendations based our our knowledge and minimal bit of info from people. Our research with real bar tenders told us that given a choice people quickly paint themselves into a corner. “Oh I only vodka, and nothing fruity, and I don’t like bitters…” Forget it. Let’s not fall into that trap. Like my old flatmate used to say: “Shut up. You’ll eat it and you’ll like it.” Strange thing – he was right. It’s much easier to enjoy something when you didn’t have a choice. So blame the app. Blame us if you don’t like the suggestions. But at least you won’t be beating yourself up about making a lousy choice. Expect to hear much more about progress. We’ve got the prototype working and we’re in the middle of taking pictures. Still hoping to launch by the end of the month. And yes, we are having a great time making it.